If you want to make lasting changes in your workplace to improve effectiveness and productivity, clear communication is key. Poor communication results in wasted time and money, interpersonal conflicts, eroded loyalty, and loss of business. Communicating effectively, with staff, managers or the public, is a vital part of business success. NBOGroup Communication Skills Programs aim to train participants to clearly, confidently, and persuasively deliver his or her message. 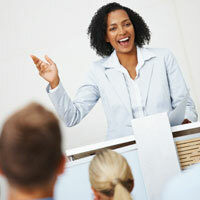 Learn to deliver a maximum impact presentation to any audience, large or small. People immediately form a perception of who we are and what we represent by how well we deliver a presentation. A person who can stand in front of a group with poise and confidence can immediately create the perception of competence. At NBO, we help participants to communicate confidently, persuasively and with maximum impact. Make your writing credible, appealing, and logical. You want all your written communication to be as effective as possible. And you know that in these days of email and internet transmitted communication, the need for clear, persuasive writing is just as important as it ever was. We’ll show you how to present your points in a style, manner and sequence that gets the results you’re looking for. Boost your team’s performance by developing their skills and abilities. Tap into the many benefits of people development by learning to be a coach and mentor. 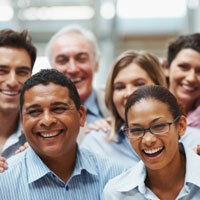 Enhance your people skills and further your career. Are you frequently misunderstood at work? Do you struggle to get the right message across? We’ll show you how to communicate persuasively, gaining others’ agreement by reaching a shared understanding. Our Interpersonal Skills program will help you communicate the right message in the right way every time. Make your team a consistent champion. How well does your team work together? We’ll help you create a team that shares a common vision and strives for a common goal. We want your team to work together, not by necessity, but by choice. Participants experience all the elements of team dynamics in a business simulation exercise. Risk taking, communication, change management, leadership strategies and dealing with uncertainties are built into a fast paced but revealing business game. Discover a strategy for presenting complex information simply and persuasively. As a knowledge worker, it’s your job to gather and master a body of information, and make sense of it, then communicate the meaning of it so wise decisions can be made. Your knowledge is an asset. We’ll help you make the most of that asset by equipping you with the skills and techniques to confidently communicate your ideas to any audience – one-to-one, in group discussions/meetings, or presentations.